Sophia Flow™ – Microbiome Advanced Formula – is the fruit of more than 30 years of research. Sophia Flow™ contains microbiologically enhanced – molecules known to maintain and improve the body’s natural functions. 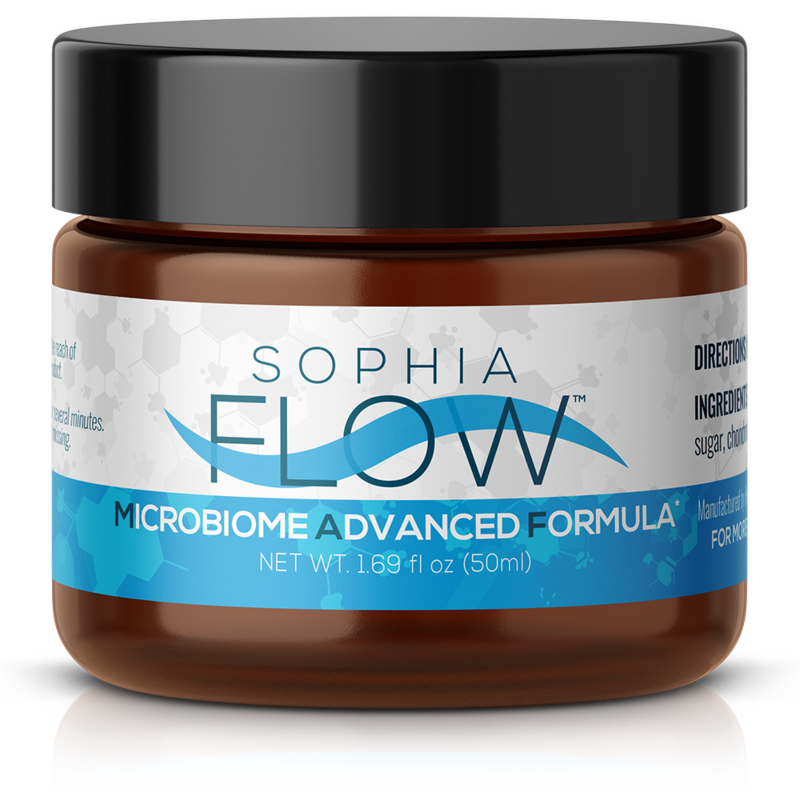 Sophia Flow™ Microbiome Advanced Formula is entirely produced in USA in a fully certified GMP facility, FDA registered facility, using only the highest quality ingredients. Sophia Flow™ and its ingredients are extensively microbiologically tested by expert analytical chemists. Sophia Flow Microbiome Advanced Formula ingredients. The product does not contain preservatives, chemical additives, artificial colors or fragrances. Ingredients: Vegetable oil, water, sunflower phospholipids, sugar, chondroitin sulfate, probiotic blend, citric acid. Warning: Store in a cool, dry place. Keep refrigerated after opening. Keep out of the reach of children. If you are pregnant or lactating, consult your physician before using this product. Discontinue use if rash or irritation occurs. For external use only. Caution: Avoid contact with eyes. If contact occurs flush thoroughly with water for several minutes. Contact a healthcare professional if irritation persists. Do not use if seal is broken or missing. 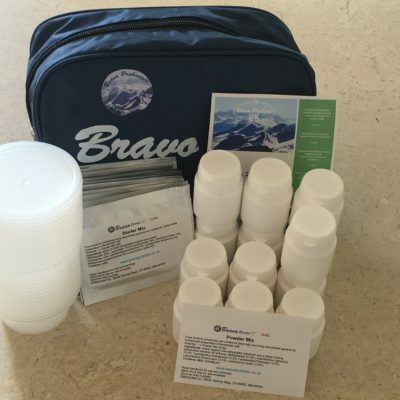 Manufactured by Healthy Solutions for KS Distributors 18106 140th Ave NE Woodinville, WA. Please note: Settling will occur at room temperature but does not need to be refrigerated until after opening. This product is stored at room temperature and will become extremely viscous with no degradation to the efficacy of the product..
Use a very small amount (size of a pea,) apply to neck or any area that needs lymphatic drainage 1-2 times per day. Rub in thoroughly and massage along the lymph nodes until fully absorbed. We do not know of any contraindications, but it is recommended you ask your practitioner. Do you have a full ingredients list? The ingredients information we are able to provide is on the label. The probiotics are a proprietary blend. How and where do I apply Sophia Flow? Sophia Flow application is up to each person and their doctor, but you can start with a pea size on the neck 1-2 times per day. How many applications does one 50 ml jar contain? This fully depends on usage. Why is sugar in this product? Citric acid and sugar are necessary for the wellbeing of the microbiome in the cream (Microbiome Advanced Formula) and they are consumed by the microbes during the fermentation process. 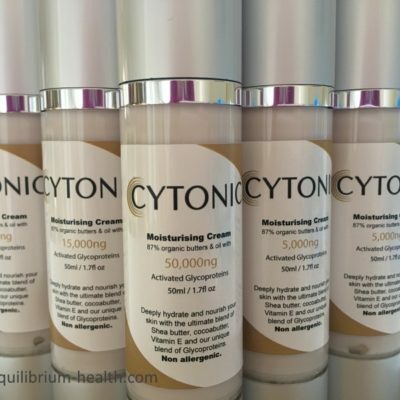 Without them, the microbes could not thrive and produce all the molecules that are responsible for the beneficial effects of the cream. Their final concentration in the cream is far less than 1%, and both are from high quality food sources. Is Sophia Flow shipped in ice? It’s very hot where I live. Is it heat stable for shipping? Sophia Flow will be fine and stable shipped to your hot climate. It is not packed in ice, and is kept unrefrigerated until opening. Once opened, please keep it in the refrigerator.